Welcome to the Character Reference Archive, a thread dedicated to the listing and archiving of Roleplaying characters. In this thread, you can post, store, and freely edit your character templates, making them as detailed as you want, and, in the case of reoccurring characters, allow for a single template to link to rather than constantly reposting it. However, this thread is dedicated to the archiving of reoccuring, prominent, or personal favorite characters, not an archive for every, single character that you may churn out. - First, post each character individually, so that each character can be linked directly to, rather than someone having to wade through a single list of characters in one post. Though it would result in more posts over all, it would allow for an easier and quicker way to look up characters, as well as linking them. - Second, please post your character within spoilers, so as to allow for easier browsing without having to go through walls of text every time you open the thread. Also, though by no means a requirement, you may also include your character's "power level," based on Lord of Chaos's power classification. Though by no means a flawless system to gauge each character's power, as LoC himself pointed out, it could, at least, give an idea of a character's power compared to another's. 3: Beta State. You are at the cusp of having power. Your body is a focus perhaps, for weapons or scrolls. You have knowledge of magic and can use some kind of device to further your abilities. Great shape, etc. Example: Eddie Brock's state for Venom, Level 1 Wizard who uses scrolls or talismans for abilities. 7: Theta State. Your powers are strong. Not only can you control things such as fire, but you can create them. You have an entire book of spells memorized, and can create spells of your own if given enough time. It's possible at this State to have some kind of ressurection ability or the like. Example: Uncle Iro (Avatar Movie, could create fire), 15-21 Level Wizard. 10: Omega State. Even Gods are afraid of something. You can create and destroy galaxies at the flick of a wrist. There's no need to be "alive" because life and death have no true meaning to you. Odds are you have a connection to one or several of the planes that hold existence together. Your powers are limited only by your imagination and attention span. Example: Death, Order, Chaos. You are an abstraction at this point. Garforge stands a binding and solidified height of five feet and nine inches. He is not limited to just one form, but often appears the most often as a human like shape. A rather buffed out torso, upperbody of which is godlike Adonis of masculine flare. Harboring twin teal colored eyes that rest in both of his stalks. His hair is tricky because its seen as a faint and ashed black that will at times stoop to a transient white that looks almost neon. An orange scarf is usually what he wears to conceal his face for some reason, usually forseen as his serious and often monotone and merciless stature. A black shirt, with the ying and yang symbol at the very center. The shirt is short, and tucked by his matching bottoms, fastened by a belt. He's barefoot and therefore has no shoes. Going over his accessories, Garforge does wear what is now Ramierun and Loviembre on the right and left wrist, twin solid golden bracelets. Garforge has but one ability and it is and embodies what isn't and isn't limited just that concept and notion alone for he is this very thing. It is Oblivion, that which ceases as the devoid and defies the aspects of physics and does not submit to the laws of matter and energy being that which is or is spawned from it be either or then tethers itself to its interpersonal write to exist which is when these laws take hold. Garforge acts mainly as an absorber and the reconstitution of essences, fluxes, and alien forces as a whole. He is can channel, manipulate, store, and generate forces to spawn from the infinite expanse of oblivion. Should there be nowhere to draw from in this event he is severed, he manipulates himself, yet only as a last resort. Albatross ~ Garforge's final form that he assumes. Disparaging everything from his entity and unites himself with Oblivion. Becoming a complete sentient and self-sustaining embodiment of the realm he's spawned from. Ramierun&Loviembre ~ Known as the forever never twins deemed a fitting analogy by Altoforge between himself and Galforge. They serve as Garforge's rightful and just weapons. Twin bracelets of golden color, about five inches thick, they're weight is that of two cinder-blocks one for each hand. Their symbolism copes for shape and form, ebbing their spacial and time brandishes to generate and breakdown, or the mere push and pull of essence itself. Reflecting back, they can also manipulate themselves into any other kind of armament desired. These twin weapons are used primarily as an innate defense, able to trace and act automatically in the hands of their true master (Garforge), to avoid fatal damage, the remove him from the plane, back to Oblivion, rebuild him, then place him back as though time paused the moment of impact. His bracelets also serve as limiters, locks, and seals to contain his rawest form, Albatross. When he shatters or releases the bracelets, he unleashes this form and carries the properties of the bracelets with him to his heightened state. Noctiverus ~ His fail safe among all things. His personal oblivion kept tightly around his neck as a ellipse which is a tiny and compact Orsa all its own. Created and spawned from naught, is no larger than that of a golf ball. Harboring a very much finite space yet capable of expanding on a whim. Off the notion of DMC's book, Noctiverus is semi-self sustaining and cannot be touched by outside forces on an ill-influenced essence based level, its triggered by will alone and responds two only two known. The fail safe is triggered when his very non-existence itself is triggered, quickly intaking himself into the space and the ellipse itself becomes forever small. Within this space Garforge rebuilds himself and resumes on the plane presented by Orsa. Historical Outlook: Probably never gonna finish this. . . Features: Having peaked early in his growth period, or so many assume, he stands at a somewhat tall six feet and two inches with a physique that matches his height. What this means is that while he may not be the most muscular person in the person, his muscle structure can still be seen as somewhat impressive. This is because while most would consider the be overweight, there is not an over-abundant amount of fat in his system. Instead the weight is mostly comprised of muscle, which is heavier per cell than fat. But the truly impressive part of this is the fact that it is well proportioned throughout his body. That means that he is not top-heavy or bottom-heavy. Other than this the primary features of his body happens to be his skin which can remind people of fallen snow with how pale his skin is. But the most striking features remain with his face. While his hair is as white as fresh snow, his eyes stick out the most. That's because they stick out with an electric blue with an odd black outline that only serves to accent them even more. Of course, that's assuming that someone can see his eyes through the bangs of his hair. While his hair is not long, it still retains some length to it. In truth the only reason that it really blocks his eyes is because he has a habit of looking down towards the ground at all times. Clothing: Simplicity is really the only way to describe how he chooses to dress. That's because he sticks with a rather simple gray tank-top that fits his form snugly before vanishing into his pants. The pants themselves are a pair of blue jeans held up by a black leather belt. The belt itself serves to hold the top portion of a pouch attached to his right thigh that extends to the same knee. There a strap holds it in place even through rigorous movement. The last part of his outfit is a simple pair of black boots that can be compared to those worn by many soldiers crossed with what you would normally see on a skier. The final and less notable of his clothing is a silver wrist watch that he always keeps on his left wrist. While the majority is the same as polished steel, the roman numerals that adorn the face are a dark blue that is outlined with black. It might be due to his past, but the most noticed feature of this young man is the fact that he knows when to remain silent. In truth, he prefers to keep this up for the majority of the time. But that's not to say that he doesn't speak up when he thinks he should. When this happens he normally takes on the persona of a protector of sorts. That's because it is tied within his instincts to protect everyone that he grows close to from anything that he can. The only bad thing about this is that this tends to lead him down the path of self-sacrifice. And that is something that many people find annoying about him. In truth he doesn't really know how to live for himself. But other than this is the fact that he can remain quite gentle to most people and creatures around him. The only time that he forces himself to abandon a gentle approach is when he gets into his mind the thought of sacrificing himself for the sake of others. Aside from his guardian nature, he can be somewhat pessimistic. He doesn't really look at the brighter side of things, but rather looks at what all the damage could be. And due to his guardian nature, he only looks at this whenever others are involved. If he's the only one involved he will often throw caution to the wind and go full force, except for when he feels that his current mission is to meet up with someone that he feels needs his protection. So in this regard he can be quite stubborn. While it's not outside the realm of possibility, Jeiss was raised to be a knight for a royal family. At this point in time most would think that he is referring to King Mickey and Queen Minnie, but that is not the case. In truth he was born on a world quite similar to Disney Castle in that there was a central royal family the governed over the world. It's just that he was born in a position that warranted him the choice of either poverty or servitude. And while there was less danger involved with a life of poverty, his family gave him up to a man that would train the boy to fight and protect during the day. That's because in his world the night was left to the watchful gaze of Gargoyles that remained as statues during the day. As he underwent his tutelage in the art of combat he would often hear stories of a particularly famous Gargoyle named Goliath in the neighboring country of Scotland. It's because of these stories that he looked up to the creature of the night in hopes that one day he might fight alongside the creature to protect those that he is to be placed in charge of. But this was not to be the case. Word had gotten around that the Gargoyles were betrayed by one of the men charged with protecting them during the time of the sun. It was around this time that Jeiss had grown to an age of ten years with a curiosity of those that were to be condemned by the rest of the world. Those people practiced what was known as Magic in the world. He grew interested in this group of people due to a girl that he came across one day while running errands for his master. He came across her collecting herbs in a garden owned by a supplier for the royal family that he was serving and should have killed her on sight for stealing from the royal family, but he held his blade when she told him that she was gathering in order to save her mother. Seeing as how he was naive of the world at this time he let the girl live and even helped to cover her tracks by coming up with some excuse should he ever be questioned about the sudden lack of herbs. But the majority of them were saved for when he was questioned about why he would be gone for so long. After all, he could not tell his master that he was taking so long on errands because he was spending time with a girl that lived in the forest where a Witch was known to reside. But this was to end one day when his master grew curious about where his apprentice really went to all the time. So when he sent the young boy of fourteen on yet another errand he followed the child. That's when he found that the boy had grown close to not only a commoner, but also with a Witch. In a fit of rage the man revealed himself to be hostile to the three of them. While the attack took the three of them by surprise, the girl and her mother had enough time to hide the boy and give him the potion that they had been working on with the order to drink it. Having no reason to doubt the two that he had grown close to over the years he downed the potion only to find his strength leaving his body as all light left his eyes and all thoughts left his mind. By the time that he had awakened he found that he was not in the same place as he was when he slept. It appeared that he had slept through the ages only to awaken in a different time in a land known as New York. And he wasn't alone. That's when he finally met the ones that he had practically worshiped as a boy. Considering the betrayal that they had gone through, it was no surprise that Goliath and his clan tried to push the young boy away, but they felt a connection with him since he was from the same time as them. So they decided that it was time to bring about an age old custom for their kind. They allowed the boy to become their protector during the day alongside a new human woman named Elisa Maza. And considering the fact that the two were human, Jeiss was taken in under the protection of the woman under the guise of her younger brother. For the next three years the group spent their time as normally as they could, granted this was made hard by the man known as David Xanatos. But thanks to the man being as "evil" as he was and the old knowledge of the gargoyles Jeiss was capable of resuming his training with a sword while learning of the world around him under the guise of Jeiss Maza. But even this was not to last. During a conflict against an ancient foe Jeiss was forced through a portal through the worlds that propelled him through space to a new world. Now he wanders around attempting to find his way back home so that he may take his rightful place as the protector of the Gargoyles and the little brother of Elisa Maza. Claymore: A massive sword that stands six inches taller than himself with a blade half as wide as his body. But despite the massive size of this weapon Jeiss is capable of wielding it with the speed of a smaller sword and the power that it was intended to have, even when he uses just one hand. But should he not need to have it out the weapon breaks apart into various sections to reveal mechanical insides as it folds in on itself until it becomes a silver block of metal that he stores in the pouch on his leg. Protect: Creates a weak barrier around him that shields him from physical damage. Cure: A weak curing spell that helps the caster grant health and vitality to one person. Fire: A weak fire spell. Blizzard: A weak ice spell. Sturdy Casting: Passive - With this Jeiss is capable of casting spells even should he be attacked during the invocation of the magical power. He minds this most useful when trying to cast a curing spell. Explosion: Active - An ending combo move that allows him to channel magical energy through his weapon into either the target or the environment. This creates a small area of explosive magic that serves to add damage to an attack. Drive "Royal Awakening": When he activates this drive form he takes on an armored appearance of the Knights of Old. In this form he is granted enhanced physical attributes equal to thrice his normal levels at the cost of magical proficiency. Panopticon (referred to as "heaven" or "hell" by humans, sometimes both), the realm outside of space and time; outside reality. It is the throne of the Old King, as well as that of the Fallen One, and house to both angels and demons, though not together. [ Data corrupted: Unable to retrieve ] It surrounds all existence and those within it can see all. Obviously still working on it. This is my son, as a character. Gabriel's history is one that rather rich and auspicious following how he was born. Again, he is in close relation to Rayne Angelique Crippen his blood sister and biological twin. Birthing followed by the natural limitations of men, his parents were indeed the same, DMC and WAG. The paternal and caretaker's of both him and his twin sister they were raised in the abode of a small home. At a young age, around the same time Rayne was discovering gifts of her own, Gabriel was known as 'the center' the epicenter of spirituality that was transcendent of the body and spirit. His essence dubbed 'chi' on earth and ethereal essence in the garden. He can push and pull the natural forces of the planet and influence them even on the astral medium. Having more of Dar's characteristics, his spiritual chi was transient and could flux making him an altar for spirits as well. In time Gabriel had matured into a adolescent as did his sister. 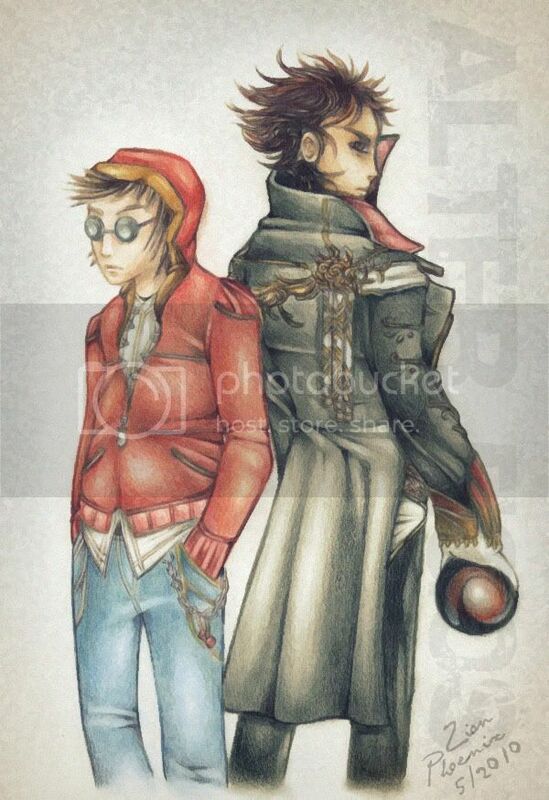 The Nexus was ordained to him from DMC about the same time Rayne was dubbed The Believer. Gabriel had undergone trials within Orsa as he was the first in their family that didn't house or withhold a demiurge. His relationship with Rayne was a strange one, she was the more tempered and controlled of the duo. Even in their rummaging through different planes of The Garden, she was everywhere. Superior to him in some aspects and Gabriel at times felt as though, it was right. Her evolution stopped at birth, he had that over her, and as his powers expanded with time she always stayed the same, her knowledge however continued. It was one day when they spun across the old war zone in the lower garden. Where one if not the primary battle of Orsa was to be decided was fought here. They seemed to walked endlessly across the wasteland of decay, torn thirds, seconds, even first where scattered everywhere. In their little hike they came across something strange, a kind of monument or rather petrified statue. It professed a hand to touch a hand. Rayne's interpretive nature flexed her curiosity so she ventured further. Even against Gabriel's persuasion of danger, she touched it. Her powers of dreams and reality seemed to pour into the statue, reversing the petrification process and taking Rayne's consciousness and locking it off the warzone. Unable to contact Gabriel, the statue rose, flesh and bone. A sentient embodiment of blood. Ricshar. This redheaded menace was encased in stone, by Reforge eon's ago. Had been reanimated by Rayne, in return he locked her from the warzone leaving Gabriel to fight for his life. The boy was only thirteen and still in the testing stages of his abilities. Forced into conflicted, he braced his fist and went toe to toe with embodiment making great use of his powerful martial arts in combination with the chakras that ebbed through his motions. Ricshar could project essence shelled into physical scales. Effectively as this battle raged, Gabriel's fist were parried by these barrier's containing his chi-based waves. It was a high-speed and physically intense brawl among everything else. This is where Gabriel learned to fight. Where he learned to release, without fear or hesitation. Defending his life and to protect Rayne, he hyper-evolved his individual essence to coat and ebb off him and tie into his attacks making them much more brutal. A direct strike tying into the essences of the recipient, rippling and distorting internal and external flow, he wore Ricshar down. Until he came with a swift smack to the side of his cheek. Effectively twisting his fist, shattering his barrier formed and cracking that side of his jaw, until he dropped seconds later. As a result, Gabriel claimed victory. Rayne was able to return to the plane to take her brother home, tired, he let her carry him off. Since then he's tuned his skills and abilities, and developed a much closer bond with Rayne, or as she calls herself now, "Lady Sera". Gabriel from there departed from his sister to seek his own means of training. He came across a very powerful individual that manipulated respective energies similar to Gabriel, yet he was so much more refined than the youth. He went by the name of the same name as Gabriel, but he possessed a title known as "The Marshal." Gabriel was woo'd by this first encounter as he found where he'd learned to fight previously would do little to help him in his excursion. As they waged at each other from both sides, Gabriel had been introduced to something not felt since Ricshar's encounter, he felt afraid. As he exuded such power over the elements, affinity all around, his orbs of light with such sweet pahs that escaped as he was being burned alive out of coat of negative emotions. Personality: Seasoned by his multitude of years, many have come to think of Isioseri as a Majdra' who has lost his spark, his youthful will to discover and to create. They are wrong. Isioseri, or rather Isios as he prefers to be called, has retained an intense sense of wonder despite his age. This wonder is something of a driving force in his life and has been even further invigorated by the bond he has forged with his closest friend: [insert dragon name here]. Like all Majdraan, Isios came to be by the luck of magical accident and communion with the natural forces that be. Your bio needn't be extremely long but mention of how you met your dragon and bonded with it is extremely important. Back-up Repository for my OCs in the event that something bad happens. Very basic drawing of said Sub-Rifle fielded in Kingdom Hearts [with designations and without original sketch]. Powered by energy from the heart [light or dark], the sub-rifle allows the wielder to change the weapon to whatever needed to accomplish the task. It is because of the weapon's unique ammo type that it has absolutely no recoil. The arrows serve as energy reserves whenever the user decides to reload by charging the weapon with their heart energy. The scope is computerized and is configurable by the user to suit whatever they need, with three discrete buttons that can store the user's customized zoom level. The weapon is usually assigned in pairs. Above drawing: The arrow sub-rifle itself. ASR-25: The default mode for the weapon is the Sub-Compact Configuration. The real life equivalent of an SMG, the sub-rifle is useful when the user needs to throw a lot of magic projectiles downrange really fast. A full charge of the six arrow reserves yields 60 light projectiles that can be discharged in a matter of seconds. The single scope is capable of providing up to 17x for magnification. Below Drawing: Arrow Rifle: Combining two sub-rifles creates the rifle. All arrow charges are accessed by both sub-rifles, creating a powerful tool of destruction. The rifle can be configured to the following variations by a simple flick of the wrist; the movement determines the weapon beam type and power behind the attack. ASR-25R: Rifle Shot. Flicking the rifle off to the side configures the weapon into the assault rifle configuration. The rifle executes its namesake, combining the twelve arrow charge reserves into a link-fire system so the weapon can be used as a twelve shot weapon. The combined computerized scopes are capable of giving up to 34x magnification. ASR-25S: Precision shot. Pulling the rifle into the user's shoulders and then thrusting it back to the forward position [akin to a reloading a bolt-action system] will configure the weapon into the sniper configuration. All twelve arrow charges are accessed and discharged at once, turning the weapon into a powerful, single fire weapon. The combined computerized scopes are capable of giving up to 34x magnification. The weapon can also serve as a shoulder-mounted weapon system, however the primary drawback is the sheer amount of heart energy needed to fuel the projectiles dished out by it. Accuracy is still maintained thanks to the designed of the center-justified buttstock now turned shoulder platform for the user. Severe exhaustion is the norm after using the rifle in this configuration, and it is not uncommon for users to enter a comatose state after prolonged usage of the following configurations. ASR-25LCS: Laser Cannon System. Holding the forward trigger grip of the weapon and having the rifle resting on the user's shoulders, pulling almost vertically down and then quickly pulling it back up followed by leveling the weapon with the user's face [a fist pump action, but cool] configures the weapon into the Laser system. The weapon circumvents the arrow charge reservoirs and instead directly links to the user's heart via their trigger finger, tapping in to the raw heart energy of the user. So long as the trigger is pulled and the user has enough heart energy to fuel the attack, the weapon fires off an obvious, continuous and immensely powerful beam that is capable of decimating vehicles. ASR-25TRFS: Tactical Rapid-Fire System. Holding the forward trigger grip of the weapon and having the rifle resting on the user's shoulders, outstretching their arm to the side, quickly pulling the arm in towards the body then bringing it back out and then swinging the weapon back until it is level with the user's face configures the weapon into the Rapid-Fire System. Again, the weapon circumvents the arrow charge reservoirs and instead directly links to the user's heart via their trigger finger, tapping in to the raw heart energy of the user. This transforms the weapon into a shoulder-mounted minigun. So long as the trigger is pulled, the weapon will dish out an innumerable amount of small light projectiles. The primary advantage to this configuration is the more easily controlled energy consumption experienced by the user. Battle Serenity: Ability. Time slows to a crawl during a battle in his viewpoint, allowing him to see and react to every move. Intel Advantage: Depending on the timeline, he would have all info regarding the Organization members as well as all other keyblade masters and users both light and dark. Saber Blade: Cutting edge of keyblade lights up with light, usually devastating darkness with one hit. Almost always paired with Zantetsuken. Salvo Striker: Modified form of Strike Raid, the Nobody launches the keyblades in its wing at an enemy, and the other entities may catch and throw it back towards the enemy before returning the blades to the nobody. Aegis Wingblade: Command. Calls upon Nobody specialization to summon keyblade wings. Increases defense. Dual Intervention: Calls upon Heartless specialization to summon dual floating keyblades. Increases offense. Shock and Awe: Calls upon both specializations to summon all support keyblades without splitting into three. No advantage. 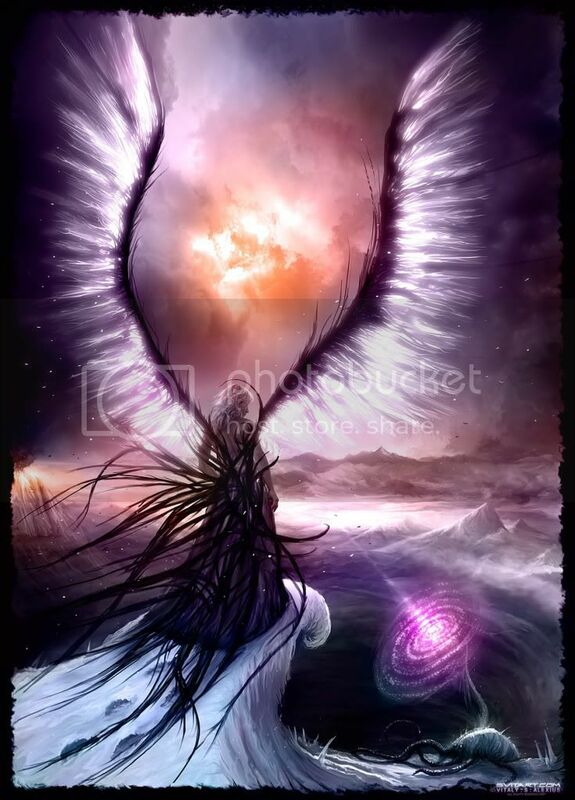 Angel's Nova: Failure to contain his emotions and destruction of his restraining lens will result in his weaponized heart exploding in a spectacular supernova. This wipes out all darkness in a super-large area and normally leaves the princess and everything else unharmed, but it also destroys his very being and essentially dies without any way to bring him back. Anomalous Battle Angel: A very rare anomaly that results in his weaponized entities to materialize and possess all abilities of each other. [The namesake stems from the inherited abilities of the Winged Sentinel being visibly present in all three entities]. It is super-rare for the entities to remerge back into their former whole self, essentially marking the death of the Guardian. Personality: Shy, bubbly, kind, romantic, considerate, a little insecure, but a force to be reckoned with if provoked or if someone she cares about is in danger. Phoenix Reborn: Depending on how fast she can respond, she is capable of reviving dead teammates. That witty phrase that is normally printed next to the character's image that shows insight to their philosophy or other shiznit: "Strike hard, strike fast, strike true. Sometimes, all you have to do is wait for the perfect moment. Be patient." Notable Quote: "No matter how dark the night may be, the sun will always rise in the end. The light will come and chase away the shadows. Forever and ever always." Taken up at a young age by Yen Sid, Zero-Five was selected to become a Nocturnal Guardian of Light because of her strong sense of wanting to help others. Faithful to her duties yet prone to throwing it away if someone is in dire need of help of any sort, "Luna" as she became known as by the others, developed normally during her training and was noted for her powerful healing capabilities. Completing her Mark of Mastery exam at the age of 15, she was ordered to go 'dormant' by the Master for 9 years until another princess was discovered. Still 15 when she awoke, she was then deployed to Princess Jasmine. Personality: Renn is a Genius but very introverted, not very talkative because he's not used to talking because he always stumbles with his words unless he thinks about what he has to say first. He tends to bottle his emotions more than most because he's trying to protect himself. That and his past has an effect on him too which occupies almost 40% of his thoughts and has a tendency to dwell on those thoughts alot... and Although you would think he values nerdy stuff like his higher intelligence in fact he hates it. The only reason he uses it is that it's been second nature to him since the day he was born. But that never stopped him from using his intelligence when he needed to in school. In fact he's also lazy because he finishes assignments at a faster pace so almost every class he needs something to draw his attention to when he gets bored and he gets bored very quickly unless he has something to do. As a result Renn is a avid reader as well as a video gamer. He's attracted to anything that is something he doesn't know about... His fast learning progression, overall memory capacity, and his photographic memory are also deadly tools in his intellectual arsenal because it ensures he can recall any piece of information over his entire life to date quickly. His more casual traits are that he's highly refined due to his intelligence and the sense of natural snobbery and pride in that intelligence is why he doesn't like to use his intelligence although he would like to test it in an intellectual debate or competition against someone of a similar intellectual level. He avoids showing emotion mostly because his weaknesses lie in his emotions. Mess with his passions or his emotions and you'll see how angry he can get. Now about his hobbies and interests. He values a lot of things and some more than others. His main interests are the arts of motion, sound, imagery, and literature, which contain multiple subjects such as Japanese animation or 'Anime', Martial arts be they weaponless or not, Music, spoken word poetry, and the written word. But the simplest terms would be is that he likes music, art, reading, writing, and poetry to the broadest extent. He particularly likes martial arts involving swords such as Kendo, Bushido, and some western styles. He's also fond of Music of the Rock variety because he was raised listening to it as well as Techno. When it comes down to visual art he likes Anime or Manga-based art as well as conceptual and even tribal styles. He loves intellectually based video games such as fighting games, simulations(although mostly of the combat variety), and Role playing games. His main emotional defences are a sharp tongue that can be very sarcastic, and flat out omission of what some people say in other words he can chose to ignore insults if he wish, although his ignorance is not as effective as his sarcasm. History: Renn wasn't always a cold calculative type, That's just how his life's events had made him. He once thought his intelligence was a gift that he could use for the good of the world. But as the pressure set in to use it as well as the tragedies that befell him made him rethink why was he given such a gift. And then basically the intelligence he was endowed with became like money in the hands of a rich man and it made him think that "Money doesn't buy happiness and neither does intelligence... Atleast in my case." In short he lost a lot and with himself sprialing down into a deep depression because even with his vast bank of logic, there's nothing to fill the hole in his life. personality: Renn's personality is somewhat chaotic, representing the concept of balance. in short it's how you treat him, if you treat him with respect and kindness, you'll have a great friend and an unwavering ally, but turn on him and treat him like crap and you see His dark side. He's pretty much in sync with the god that he holds but the one difference is that Renn is really intelligent and witty and Thanatos is not. He's very smart and logical and can decimate opponents with strategic combinations very few can counter. He soon accepted a job as a co-composer to two of his favorite inspirations to be a composer. Their names are Takeharu Ishimoto and Yoko Shimomura, so he's helping them compose pieces and will soon be working as the first composer for Square Enix not born in Japan. His hair is a dark Chestnut brown, also affected by light, in the sun it definitely shows more color, but in the dark it also helps him hide for the sake of ambushes, the length is even from the sides to his backand he tends to tie it back in a ponytail and style his bangs down the center. without the wings of course. Personality: Typical demon really, He's silent, and when forced into something... He'll get out of it one way or another. as comes with age... He has wisdom beyond that of most humans, His anger and instability of mind is the thing you wanna watch out for though... Last time that happened... it litterally almost meant the end of the world... He hides inside himself and that keeps him from doing so again. Because he feels regret worse than humans... Although it's thought that Demons don't have these types of emotions, a result of his attachement to his past life. Powers: Human: Small jolts of black lightning tend to spark when he gets mad. Can control it but it's not very powerful. Bio: Renn's soul was sold by his parents to pay off a debt to Satan. Pretty simple right? No way... But as Renn had no say in the matter. it was unfair to him and One angel saw this and granted Renn his soul back and his parent's debt repaid. But sadly, Satan held onto it and it became tainted with Darkness. 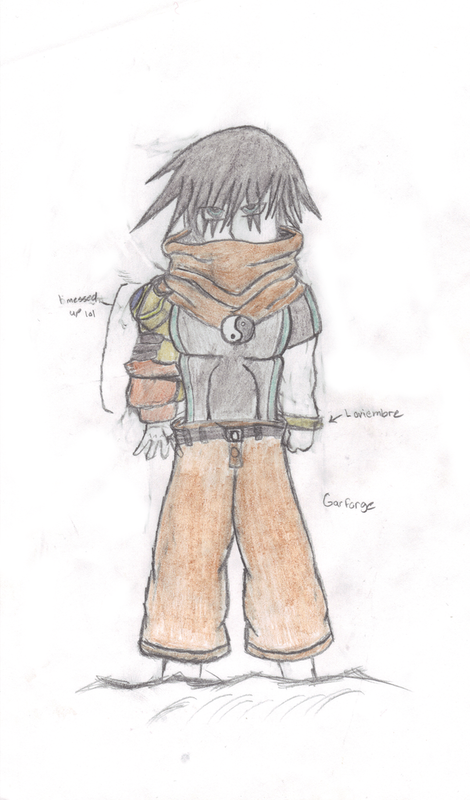 Renn grew up with the darkness in his heart and he never got truly mad until Grade 7... That was when Dark energy first appeared to Renn... He killed a kid who bugged him with a small jolt of darkness. He was tried and sent to juvinile Hall where people continued to test his anger... He left Juvy with three similar cases as the first. After that he tested his ability and he wondered why... Satan provided answers and told him of his ability Dark energy... Renn was a special case, He was gifted by both heaven and hell. And with the help of Satan and the Angel who reclaimed his soul for him, He unlocked his demonic state. It also unlocked higher control of dark energy, he could control a dark energy blast the size of a his fist. Personality: Renn is a genius in almost any aspect, But he has normal interests as anyone else. He's a prodigy that looks to prove his worth in the world and nothing more. But he does have reckless self abandon for others. He comes off as friendly, and litterally he'd give himself for almost ANYONE. And sometimes he can be reckless and proud, it's a type of instinct that counteracts his intellectual and creative geniosity. His hobbies include writing stories, Playing music (mostly of the rock variety), Drawing, and Video games (Who doesn't?). But one major flaw of his is that he's a social recluse and doesn't have many real friends. Bio: Renn was born in Canada, at the age of 13, he astounded his homeland by figuring out a federal election scandal. And after that he continued to excel, And nothing stopped him from being recognized for who he was. But he kept to himself mostly. At 15, he was invited to England to visit Queen Elizabeth II herself. During his visit, He talked with many of the British Scientific community representatives and someone tried to assasinate the Queen during a press conference and Renn saved her life. He took a bullet to the shoulder as a result. After doing so, Renn was honored with being the youngest person to recieve a knighting from the Queen of England. Thus adding the title 'Sir' to his name. He's done many other impressive feats as well, and had many creative and scientific opportunities like playing with Recognized guitar players like Saul Hudson, Joe Satriani, and others. And He's shown he has terrific skill almost to anything he's tried. From beating Stephen Hawking in a game of Chess to beating Bam Margera in a skate-off. The darker spots are either black or deep blue. Personality: Simple as almost anyone can tell, Renn is conceited, cold, and not very talkative, But what equals his silence is his intelligence. He's a prodigy, He's not really proud of it though... He just sees his brilliance as a 'higher instinct than others'. And He can also be very vengeful, but he tends to let that go for the better or even for worse. He wasn't always this way though... He's a damaged youth. And the only way he can protect that is by being the way he is now. But one thing hasn't changed, His desire for knowledge is immense. And has a strong sense of Revenge. Bio: At the start, Renn knew he was special, His brilliance was abnormal for kids his age. He was upbeat, friendly, and almost quirky. He always took his accomplishments in stride and was proud of himself and his abilities...Then in the midst of one of the attacks by the Vampereze during the second war. His family was killed and he was left on the brink of death. He was saved by a Vampire that killed the blood-drinker who killed his parents shortly after. Renn was found by this saviour and saw that in order to live, he had to turn Renn into a Vampire. The Vampire saved his life and he decided to become the Vampire's apprentice shortly after. But as a result of him turning Vamp, and his parent's deaths, he cast away his old persona for his current. The Vampire he was apprenticed to was named was Johnathan Gabirel. For nigh on most of his Vampric life, he learned from him about the Vampires and their history, as well as the wars between them and the other race of Blood-drinkers. Personality: Human: Renn as himself, he's the basic nerd type, He's sick and tired of being pushed around, He's abnormally intelligent and is also very kind and upbeat despite his inner feelings... He has a constant belief that karma will act upon those that do bad things, and the victims shall be rewarded for the crap they put up with. But that isn't the case and that is one thing he needs to get over. He's also merciful and has a very strong sense of persistence. And he has a strong feeling of negotiation over confrontation. Dark energy- A power that has many uses but he can only perform a few techniques in this state. Angel has only recently possesed Renn and that cuts him off from using his full potential with it. Dark Aura- used as a ward from physical and magical harm, depending on how Angel focuses, He can stop blows from landing on him, but As he uses Renn's mind, Angel can only block attacks three times, depending on the strength of the attack. then has to recharge. Dark beam- A small beam of dark energy shoots out of Angel's finger... can vary in length, it's like shooting a laser, only alot more potent. Dark Angel Activate- Triggered by Renn's will to survive. it's like a force repulse attack of dark energy. Renn goes from human mode to Possesed mode. And as you can see, Possessed state has wings so yes he can fly. Weapons: Renn uses his fists to fight. History: Renn was just a regular young man, Going to school, putting up with bullies etc... until he found out that he wasn't born like a normal child, His father sold Renn's soul to save his own from a deal with a demon. That very demon came to Renn on his 16th birthday to claim it, then realizing he'd been sold out by his own father. Renn had taken the demon's power for his own, but as a result, he developed a split personality, one that rivaled his own inside of him. And When Renn gets angry, that persona comes out in physical form. And that was when he first 'blacked out'. 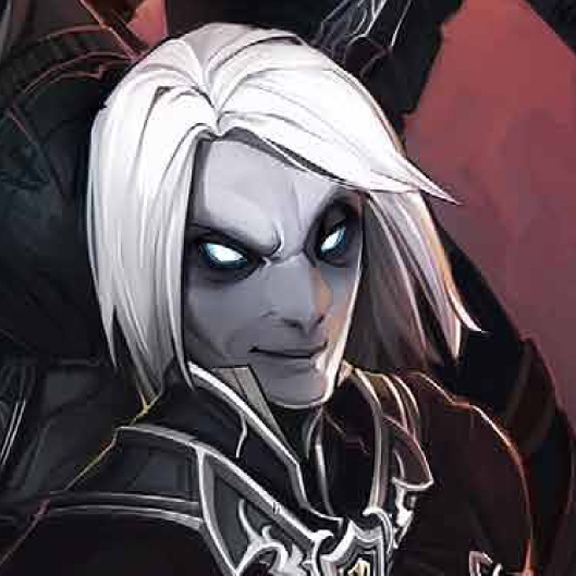 When Renn Blacks out, He has a lapse in his memory until he regains himself, usually when the battle is finished. He killed his dad and started living with his mother, afraid of what he has become. Name: Renn 'Angel' Gurski. He only goes by Angel because he's distancing himself from his past self, A weak, broken, youth who was close to committing suicide. Weapon: Machete strapped to his back underneath his coat, Desert eagle pistol held in the back pocket of his jeans, Knife in a sheath in his jacket. Skills: almost unnoticable, good smarts, and very observant. Personality: He's been through alot for someone his age, And that does take it's toll on him since he's very immpressionable. He's Silent most times, he has an amazing sense of justice, and although he's unflinching that changes when he's hurting someone he knows. He's absolutely brilliant for his age though as well, last time he was tested, his IQ stood at 165. and that does make him very prideful. But some things never change, he eats alot when he needs to, and that tends to give him more energy than others, because he pushes even harder than other people might think. His anger is almost unstoppable, but he can calm it and even focus it to use to his advantage. He's persistant, and almost unrelenting when fighting. And he has only two hobbies, Playing guitar, and Video games. Bio: Renn was an Orphan, he had nowhere to go...He lived off the streets until he was about fifteen, then he had no choice but to enter the tornaments... Renn was a skilled warrior, using his surroundings to fight, as well as his own skills, some referred to him as cheap but he proved them wrong one year later when he fought against a tornament champion by the name of John the Berserker. Renn was able to win the fight, but that fight left a large scar on his leg. Renn then was thrust against Marsha. Renn was so dazzled by the way she fought that he almost forgot he was fighting her. Marsha defeated him but left him a good scar across his ribs and a small scar that curved from the front of his chin to just above the neck. Marsha had spared his life and after That Renn couldn't help but watch her matches after that... But after She killed innocent lives at her last tornament, Renn couldn't help but see how evil she was, Renn had to stop her, They met shortly after as she left and he drew his blade. Renn attacked her without relent but she pushed him down and slashed him across the face... the scar left his right eye blind. Renn fell into a deep depression that lasted until he was eighteen and during that time he almost threw himself from the top of a skyscraper. He knew he couldn't try to kill Marsha again because she was protected by millions of people who were scared of her. Renn then adopted the Alias 'Angel' and changed his appearance drastically, Using the remains of his winnings in the tornaments, he developed a new persona, and cast off his glasses and had perminent laser eye surgery to fix his left eye and got an eye transplant for his right, but his scar was still there. He then left for a year to train in the wilderness and now he's returned to correct his mistake. He swore to find a way to kill the very person he admired for the first time in his life. Name: Renn Gurski, The Dark Angel. Appearance: Renn Left side is him when he was 16, but the right is him now. He now stands at 5'9, Explaination for the changes will come in the Bio. His current form has him wearing a black trench coat with ornate gold designs across the upper half of the back, down the arms and brace around his cuffs, His base hair color is black but streaks of crimson red do shine through, Though unseen the inside of his coat is the same hue like the streaks in his hair, this is where he holds onto most of his 'instruments'. His gun, several daggers of differing designs, and even an extendable staff, The clothes he wears on the inside of his coat are black cotton pants, a red cotton muscle shirt, and he wears black boots with two belts each and has socks on underneath, though unseen. Mastered weapons: Blade of three snakes, A medival style short sword that resembles it's current owner. The blade is night black, with what looks to be a snake design curling around the blade shining gold, on the pommel, is a ruby that was carved to look like a Snake's eye. with what looks to be two snake mouths, gaping wide open,with black and red scales, and the tails of the two smaller snakes extend and twist down to form the handle. Skills: Medicinal treatment, Infiltration, information gathering, and a few others are some of his strong points but he has a very broad range of skills that'd take too long to list. Bio: Born in a small town, His family raised him to be a great person. Giving him just enough guidance to figure out on his own since he was already gifted, but he was such a spong that by the time he was 7, he was pretty close to being self-dependant, but since he felt close to his family he never stayed too far away from them so that he could take care of them...But as he had too much time on his hands, by the time he was 10 he needed glasses from looking up at the sun too much. His parents were proud that by the time he was 15 he was ready to live on his own, He did so, building his own house from scratch, but not very far from his parent's home. He watched over them for two years, until his parents were killed by Mercenaries, apparently his parents were traitors and were assasinated by people hired by a powerful force. He wasn't sure who hired them but when he saw his parent's dead bodies, something within him awakened and his eyes went from forest green to Blood red, and his hair changed from dark brown to it's current color. And with it something changed him on the inside, he went from a happy, creative, innocent prodigy, into a cold, ruthless, and unrelenting killer. His happiness and all his positive qualites seemed to allocate themselves to increase his more primal revenge instincts, but he still had his smarts and they seemingly increased but only for his revengeful instincts. First off he needed to find a weapon, and that led him to find his ancestor's generational weapon, The sword of Three snakes, he found it after scrounging the family records day after day, trying to find the hidden stash of weapons, He found out that it wasn't very far from his home so he found it and that was where he found all his other weapons as well. After that he dedicated himself to finding the killers and the one responsible for making his family died. He has searched for two years as a mercenary and gathering all the information he could, he still hasn't found anything. Personality: Quiet, But he’s a good leader and quite smart, he thinks things through first but he’s very quick about decisions. His pride is great as well and he thinks that if you keep persisting eventually things will get better. Appearance: Short brown hair, Emerald green eyes, His outfit is a red jacket, Black T-shirt, He has a short sword on his left hip of his blue jeans and he also has a pistol hidden in his pants. Wears black socks and white sneakers and he stands at about 5’4. History: He was the first born in his generation and his parents raised him with care and eventually they gave him a sister, Kira. He was being groomed for a life of great responsiblity until the day his Family's palace fell to a resistance group that was formed by the discord that swallowed it's people into siding with either the Lobrasians or the people who sided with the Alliance of reality. Renn and Kira escaped the siege by taking the servants quarters out of the castle. They rode a horse away from their palace and found a place to live in Los Galese for a time... There Renn and Kira happened upon an anceint order of warriors that fought to form peace in Angeles called the Angels, Sadly that order was obliterated hundreds of years before. There Renn and Kira decided to reform the Angels to help them regain their throne. 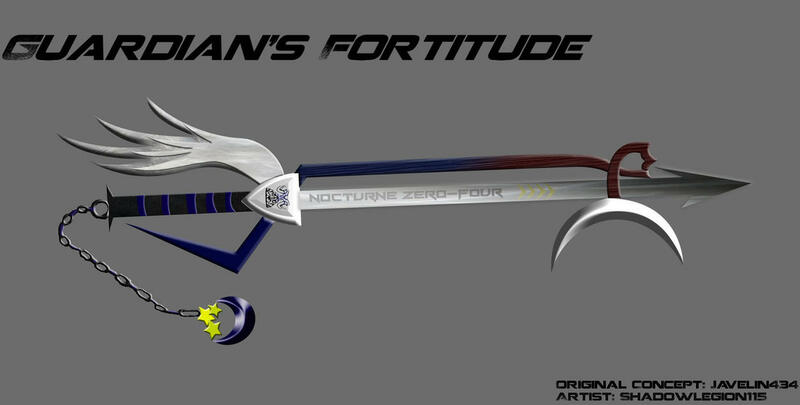 Weapon: A mgically imbued short sword that was forged by the Lobrasians made of Blue crystaline and a blood red stone in the center of the hilt and the handle was made of silver. He also has a semi-automatic pistol hidden in his pants. Crystaline ice beam- Shoots off a small beam of blue light imbued with the concentrated power of ice from his sword. Depends on the user's will. Healing breeze- A skill he learned from his mother that allowed him to heal wounds quickly, it'll grow stronger with each use. But he needs to recharge after that. Wind push- an ability that allows him to push away foes without hurting them or even touching them. a gust of wind pushes off of his hand. He is one of the bushin, a being who has achieved enlightenment through battle, and is revered on the planet Tamasea as its patron guardian. The planet's denizens were among many colonies cut off from Earth during the old Empire's dissolution and the Sapien Wars. They are an offshoot of the human species, who never encountered alien life throughout their expansion into the stars. Instead humans would grow alien to themselves as they spread to other systems. He was not of Tamasea, but had retreated there after a grave conflict that had profoundly wounded his body and mind. Through his "Ki", and a year long meditation, he achieved a miraculous recovery that was more akin to a total transformation into another being. The Tamaseans who had witnessed this had gathered about him in a vigil wonder. They were a deeply spiritual people but had regressed culturally and technologically. He taught them the Prana martial art and over the years helped elevate them to an enlightened society that would one day draw the gaze of the rest of the galaxy. Ki is not a resource. It is a measurement of one's affinity to the universe. As perception grows, so does an individuals influence over reality. Consider a fibrous system of neurons that grows bigger and more complex over the eons. New perceptions change how this organism comprehends the world, but to see, smell, hear, taste and touch are actions as much as they are senses. New senses give rise to new actions. The Prana martial artist seeks to hone new senses through a profound familiarity with mind, body and the world. He can redirect kinetic forces through his muscles, synthesize chemical compounds with his organs and dictate the beating of his own heart. The theoretical applications are limitless. They have been called mystics, psychics, prophets and demons, and they are the endgame of all conscious beings. Mantra-tech Frame ~ Alt has now shed all his mechanical limbs and enhancements and has lost all his original physical attributes. His heart now shelters within a body engineered with Mantra technology. Much like a normal human body but more built to fit his abilities. Like normal body, he is now able to touch and feel and is now susceptible to feeling pain. His muscles now composed of pseudo steel-like sinews and plates that matches the color of a normal human skin; except for his arms which are composed of chrome-steel. His physical form sports trims all over like his muscles are armor plates and artificial muscle polymer-like fibers. The frame can fringe his chi and evenly distribute it all over his body, making him ultra sensitive to everything around him. In this state, Alt's senses, speed, and reaction time dramatically increase, enabling him to immediately react to attacks before they are performed. Consequently, his opponent is completely outmatched in every way offensively. Alt developed this ability as a result of a continually active brain state, even when sleeping. Using his own chi as fuel. It can also expand his muscles to a well-toned pseudo-bodybuilder look as he increases his physical strength and speed. Such is the capability of the frame. With Mantra-Tech, he can "digitize" mechanical limbs from before and weaponize his whole body. Whether it would be one limb at a time or his whole physical body. 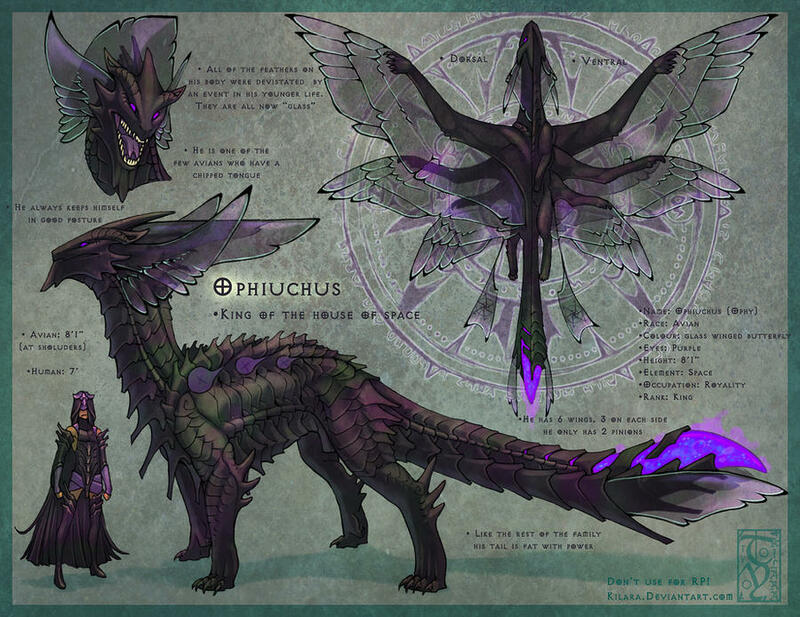 He can also assimilate pieces of technology and reconstruction into his own design with just a touch of a finger. He wears a black, zipped-down leather jacket with torn sleeves and a stiff collar with steel buckles. A gray flame-patterned, half-kimono that overlaps his entire left torso up to his left arm; strapped and secured by a belt. A hip-length, black trench coat draped on his hips secured by a side skirt armor and belt. Leather pants and red armored, mechanical greaves. 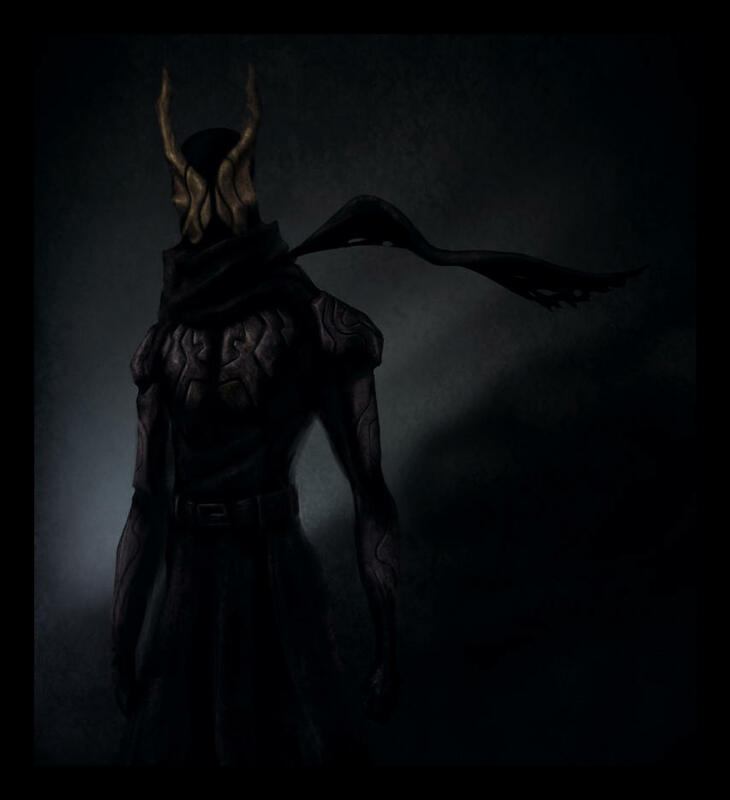 At his back, he dons a spine armor and two large shoulder blade armor plates with a long, torn black cape/scarf pinned between it. 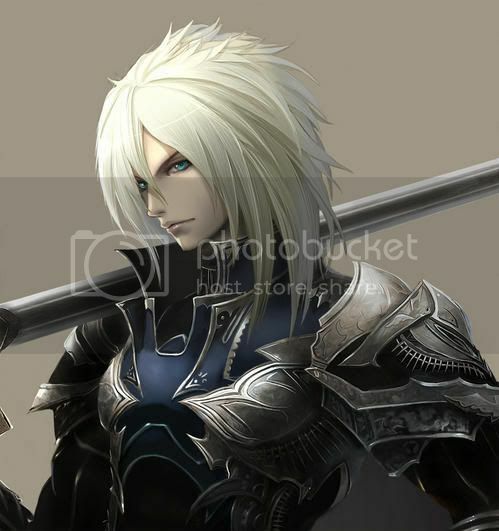 Bio: Alt, fully embraced his destiny to greatness--the destiny to the heir of the House Alteisen. He had surpassed both his mother and grandfather by the furthest. Mastering the secrets of the martial art discipline, Shin Muteki no Ken, he has ascended where no other Alteisen had been before him. Due to the Mantra-Technology, he has not aged a day and predicted would be the oldest living Alteisen yet. Since he now has ascended, he can now also control the entity "The Black King" at his whim. Creating a perfect link between him and the entity. Eventually, this entity has now bonded with his very heart, without corrupting it to the slightest. And can summon its full potential if he wills to do so. And for the namesake, he now embraces the notorious epithet of the Black King. Since the passing of the late Gutsvald Alteisen, Alt immediately took over the White Armada and shape it on his own accord. Reforming it completely from the inside out. He changed the name from White Armada to the Black Legion, with Alt at its head. Through his sheer genius intellect he helped his army become even more stronger than ever before until the Black Legion's name itself was emblazoned in the tides of history. A peerless military superpower across the Omniverse. Though he holds now a golden and fearsome reputation, he still kept his benevolence and humility as an individual and would step down from his throne time to time to appeal to the worlds he has sworn to protect; and he would often walk with them as an unknown individual since his figure is enigmatic to the minds and sight of the people. Dazzled by his power, his homeworld Ernas had nominated him as the next emperor to sit on the throne but he would immediately decline the honor.